We kick off our traditional Baselworld picks by three selections from Chester. 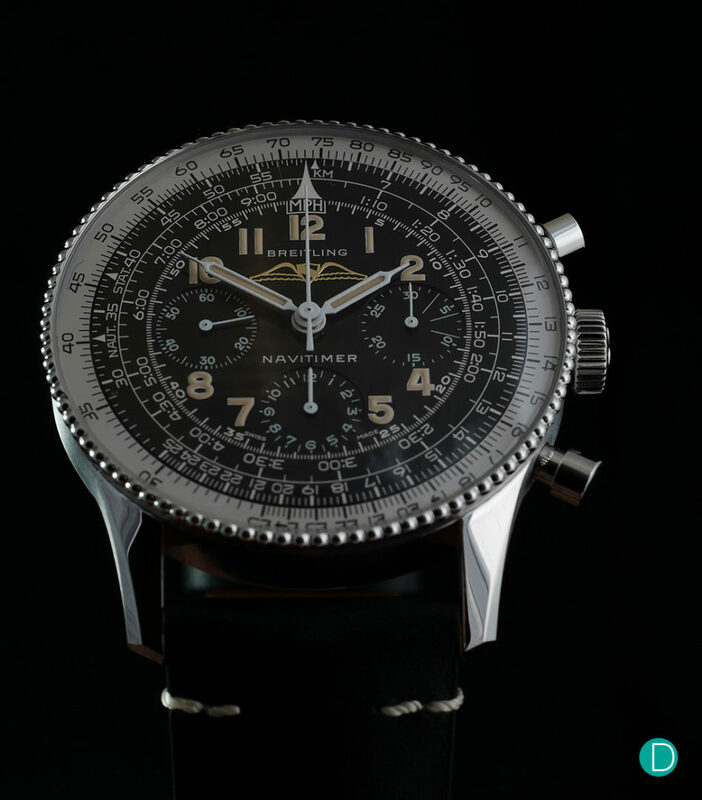 The Navitimer Ref. 806 1959 Re-Edition has been designed with painstaking attention to every detail to faithfully match the design of the original Navitimer in 1959. It has a stainless-steel case of precisely the same dimensions as its inspiration and an all-black dial with tone-on-tone small second, 30-minute and 12-hour chronograph counters. Recreating one of the signature elements of the original Navitimer Ref. 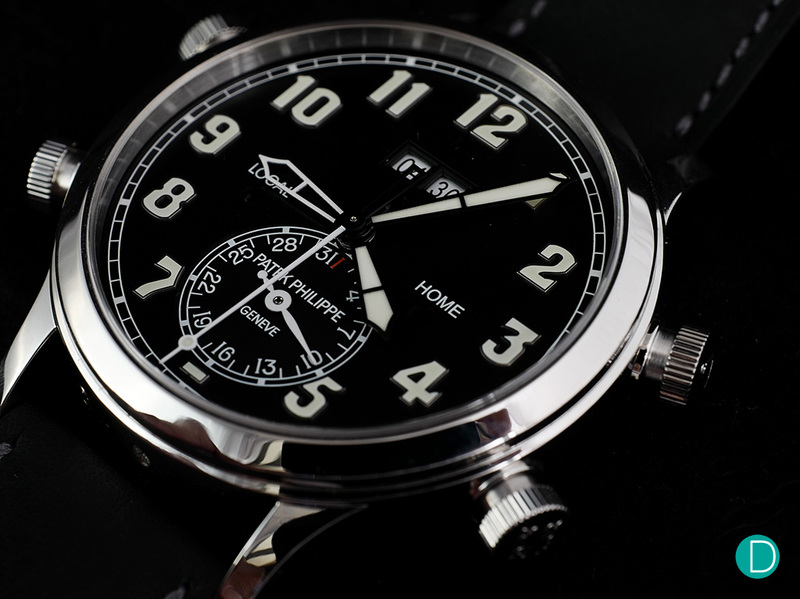 806 in 1959, the dial, protected by a highly-domed acrylic glass, is highlighted with a Breitling inscription in capital letters and an unsigned winged logo. In fact, the only concessions to modernity are the water resistance, which has been increased to 3 bar (30 meters), and a Super-LumiNova® coating for which a very special attention has been paid to the color to ensure that it aligns with the aging of the luminescent material on earlier watches. The Navitimer Ref. 806 1959 Re-Edition is powered by the in-house Breitling Manufacture Caliber B09, a hand-wound COSC-certified caliber based on the renowned Breitling Caliber 01 and developed specifically for historical re-editions. The Navitimer Ref. 806 1959 Re-Edition is available on a black leather strap and as a limited-edition of 1959 pieces, all individually numbered and engraved on the caseback. The watch is priced at US$8,600.00 before taxes. The new Patek Philippe 5520P Alarm Travel Time is essentially a 5524G Travel Time with an additional 24-hour alarm with a digital display. 42.2mm wide and cased in platinum, the new Alarm Travel Time has met with great criticism for its many crowns which some say, resembles an insect. Nonetheless, the new model has a brand new movement that is technically impressive and arguably a lesser innovated complication. It’s case and dial are as intricate as its movement, and being a Patek, the watch is a whole price premium over anything in this complication category. The 5520P retails for CHF 200,000, a relatively exorbitant amount to pay for the novelty and potential collectibility of this new model. 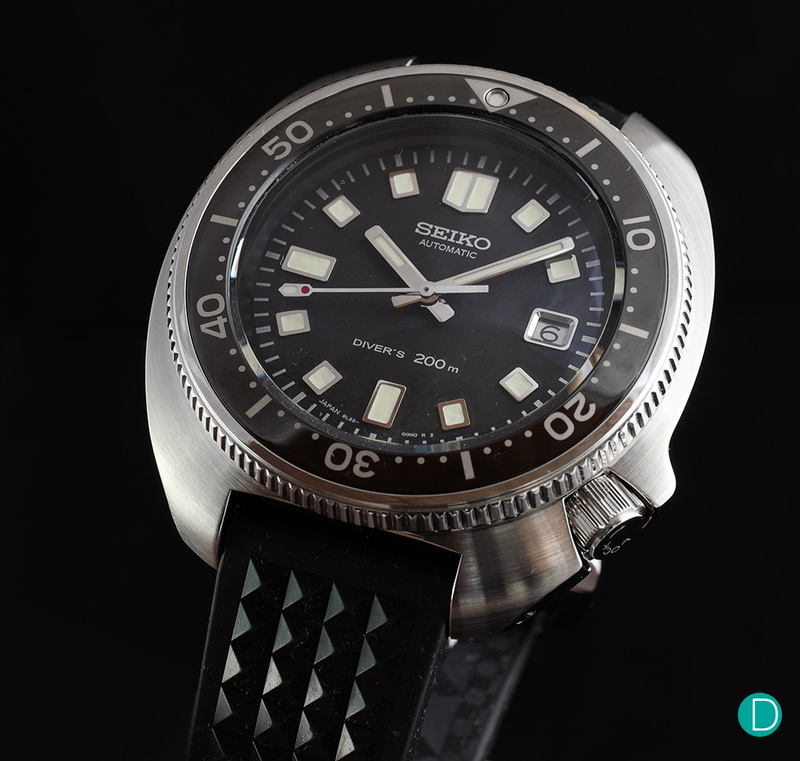 Seiko releases a recreation of its classic Prospex, a watch that originally came out in 1970. This 45mm watch is affectionately known as the turtle, in part due to its shell like case design. It was famously captured on the wrist of Martin Sheen’s character Captain Willard in Apocalypse Now.